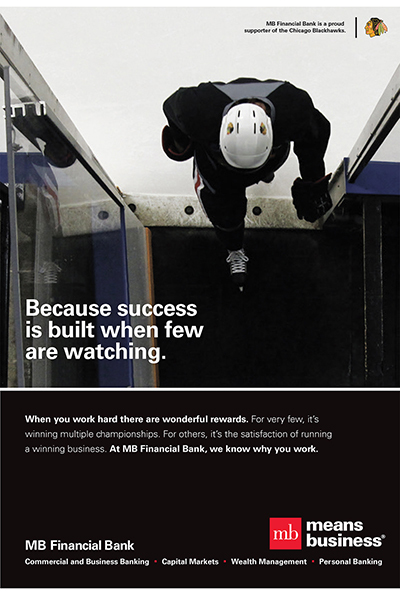 MB Financial Bank values it’s unique experience of working with people who run businesses. They know that even though business owners are successful people, making money is not their sole motivation. 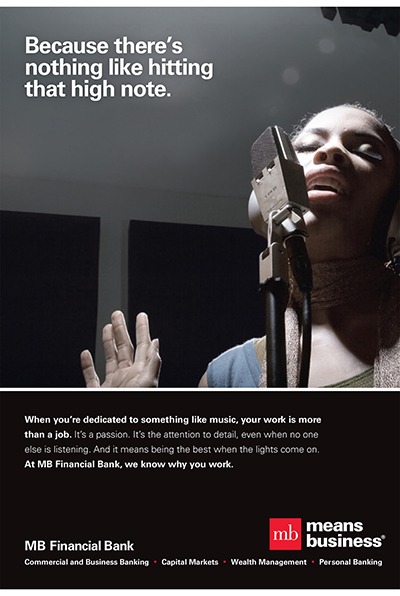 With the "We know why you work" campaign, MB becomes the bank that recognizes, and champions, the real reasons why a business owner works. 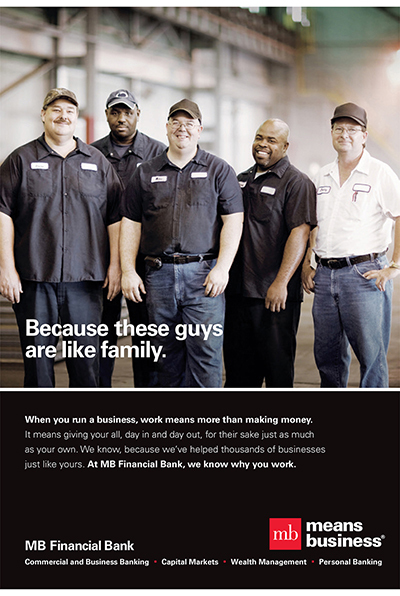 These ads answer the question why a business owner works. Whether it’s wanting to succeed, or plan for the future, there is something unique about why a person runs a business. 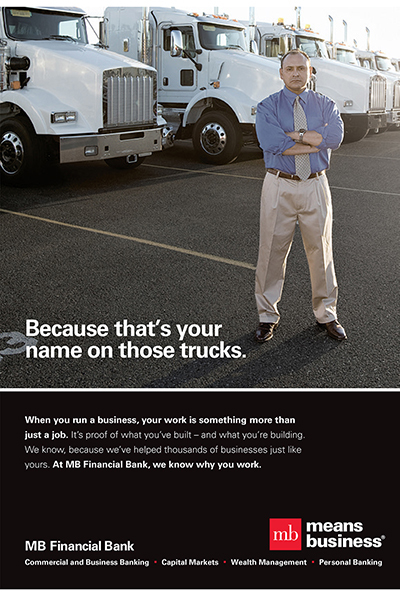 These ads depict a the day in the life of a business. The people are real and the desaturated color quality of the photos reinforces the documentary nature of the campaign. 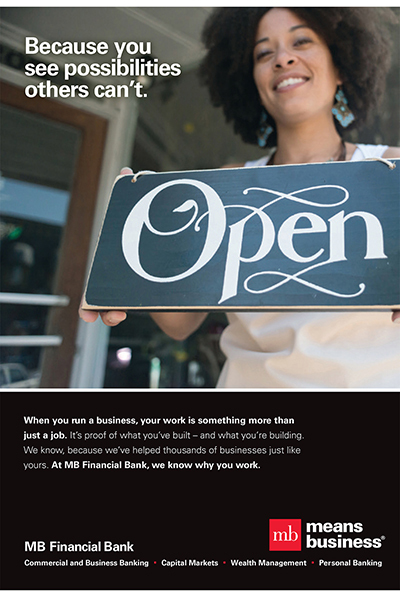 In this campaign, MB becomes an advocate for business by enlightening the world of the true reasons why a business owner works. 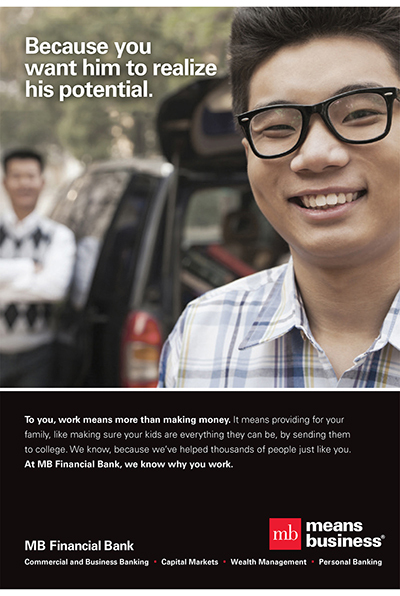 This allows MB to gain a business owner's appreciation, thus suggesting they have a better understanding of their needs. Sometimes there is the opportunity to tailor the brand campaign to a specific event or venue by focusing on what motivates the hard-working nature of a player or performer. The question, “Why do you work?” is easily extended when speaking to the retail customer. 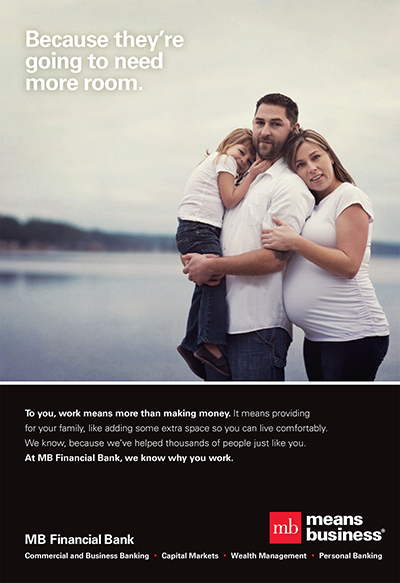 Whether it’s wanting to expand a family or save money for college, there are universal truths about why someone works. ©2017 Big City Brand Company. All Rights Reserved.